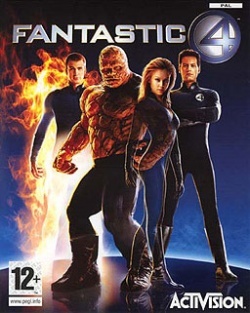 Game description: Based on the 2005 movie of the same name, Fantastic Four lets you control the team of superheroes known as the Fantastic 4. Each character possesses a unique set of abilities that you can use and combine in the hunt for Doctor Doom. The game includes single-player, cooperative, and two-player versus modes. Works fine at a decent speed., Shadows and few textures are messed up with Gsdx HW mode. software mode looks ok.